These caged ankle high boots have a 6 1/4 inch heel with a 3 inch platform. 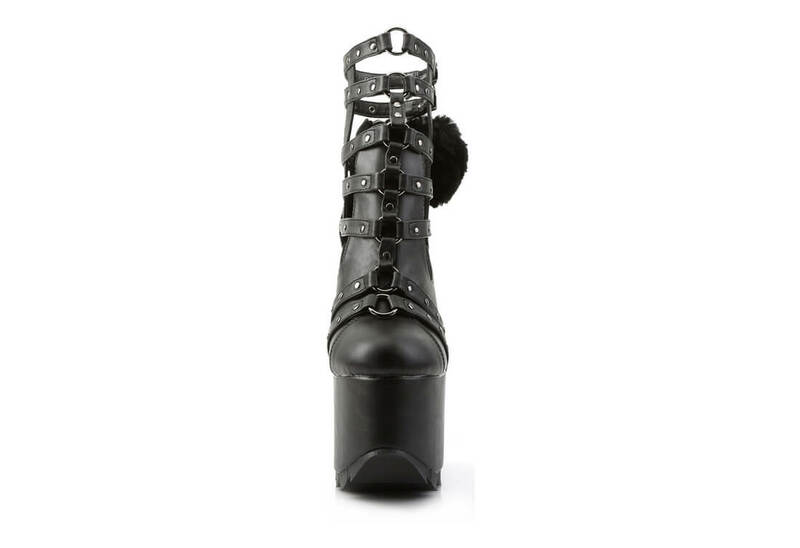 The ankle has a cage strap that fastens with buckles. The front of the cage is held in place by O-rings. The side has a detachable fluffy heart charm.